If you happened to miss Saturday night’s main event between Miesha Tate and Ronda Rousey (Pictured), no worries because Showtime has released the scrap’s highlights for your viewing pleasure. Many believed Rousey’s Chael Sonnen-like ways is what earned her the title scrap because the 25-year-old only had four professional fights under her belt and was debuting in the bantamweight division. 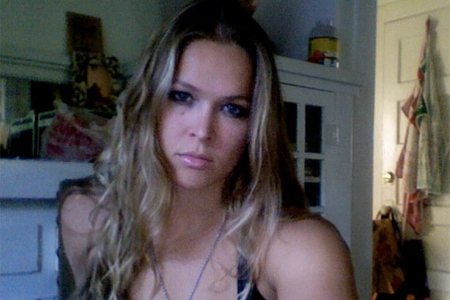 However, Rousey backed up all of her chatter by posting another violent victory. “Rowdy” bumped her record to a perfect 5-0, with all of her wins coming via 1stRound armbar submission, en route to capturing the 135-pound crown. “Strikeforce: Tate vs. Rousey” took place Saturday inside Nationwide Arena in Columbus, Ohio.